After a short pre-season Peterhead FC will return to coemptive action tonight when they play Forfar Athletic in the new look Scottish League Cup. ‘The Betfred Cup’ will also see Jim Mcinally’s side travel to Methill’s Bayview Stadium to play East Fife on Saturday before games against Dundee FC and Dumbarton. Peterhead last played competitivley on May 7 when they lost out to Ayr United in the second leg of the League 1 play-offs and will now be back in action after just a two month break. The Blue Toon faced off against local rivals Fraserburgh and Formartine United as part of their warm-up for the new season. They also travelled to St Andrew’s on Friday night where they lost out 4-3 against English side Blackpool who are taking part in a Scottish training camp. Meanwhile, the other four teams in Peterhead’s Betfred Cup group where facing each other on Saturday. 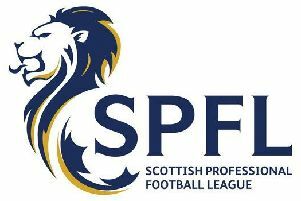 It was the lower league side’s who triumphed after both Forfar and East Fife won on penalties against Dumbarton and Dundee respectively. Forfar hosted Championship side Dumbarton and held the Son’s to a 2-2 draw before winning 5-3 on penalties. Peterhead boss Jim McInally was watching the game at Station Park and felt Forfar were unlucky not to win in 90 minutes. He said: “Forfar are a much improved side compared to last season when they were relegated. “They should have won that game in the 90 minutes and were unlucky with some of the decisions against them. East Fife will no doubt be delighted with a 4-3 win over Premiserhsip side Dundee after a 1-1 draw. McInally commented: “We know that every game this season is going be tough now with every team in our league paying much the same wages. “East Fife are in our league now and we expect fierce competition from them on all fronts as well as from the other teams.